We are a welcoming, urban community built in 2015 in the heart of Tennessee’s capital. Our cohousing community includes 25 small homes and a Common House with members ranging in age from 3 to 80, including singles and couples. Our community strives to be multi-cultural, multi-generational, and diverse with families and children. Our Common House is located on the corner of Taylor and 5th Ave North, 37208. Its glass walls and wrap-around porch overlooks an old cottonwood tree, perfect for swinging and other playful activities. Inside we have a dining room, fully-equipped kitchen, a children’s playroom, a cozy living room, activity room, guest bedrooms, and a laundry room. 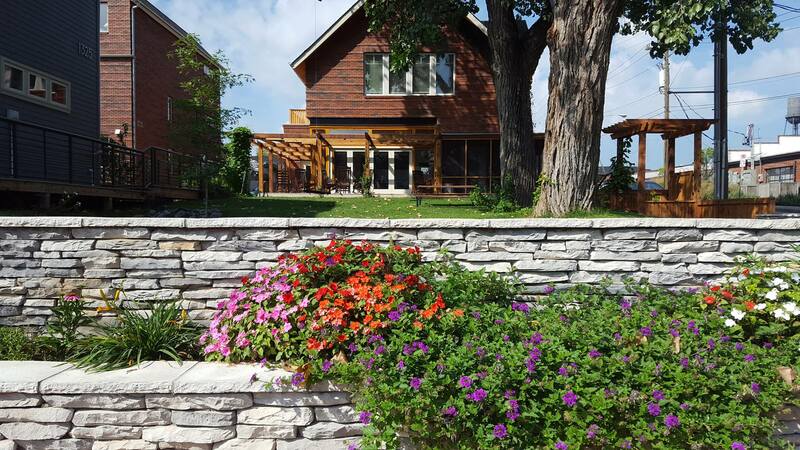 Our courtyard and rain garden include edible landscaping with creative gardening along wall trellises and raised beds. Located on the Cumberland River, Nashville is known for its music industry and is central to publishing, banking, health care and a large number of colleges and universities, including Vanderbilt University. The entrepreneurial spirit of the city draws a variety of multicultural groups. The nearby downtown area offers popular attractions, including The Frist Art Museum, Country Music Hall of Fame, the world-renowned Ryman Auditorium, Bicentennial Mall and Farmers Market. The natural rolling hills that surround Nashville are beautiful year-round and call to outdoor enthusiasts. Our community is located near the Greenway, which connects Nashville’s Warner Parks, Radnor Lake, and Shelby Bottoms. Rivers and tributaries offer opportunities for fishing and canoeing, and Old Hickory Lake and Percy Priest Lake offer boating and swimming.